The Jungle Boldie consists of three of Hollands most renowned jazz musicians. Overwater, Ornstein and Kegel met at the Royal Conservatory in the Hague during their studies and have been playing together ever since. They have the shared vision of what it is to play and perform ‘free’ music in the true sense of the word - creating a joyful interplay without any assumptions. The group have performed with many international artists including Pat Metheny, Ilse de Lange, Ack van Rooyen, Calefax, and David Murray – to name but a few. 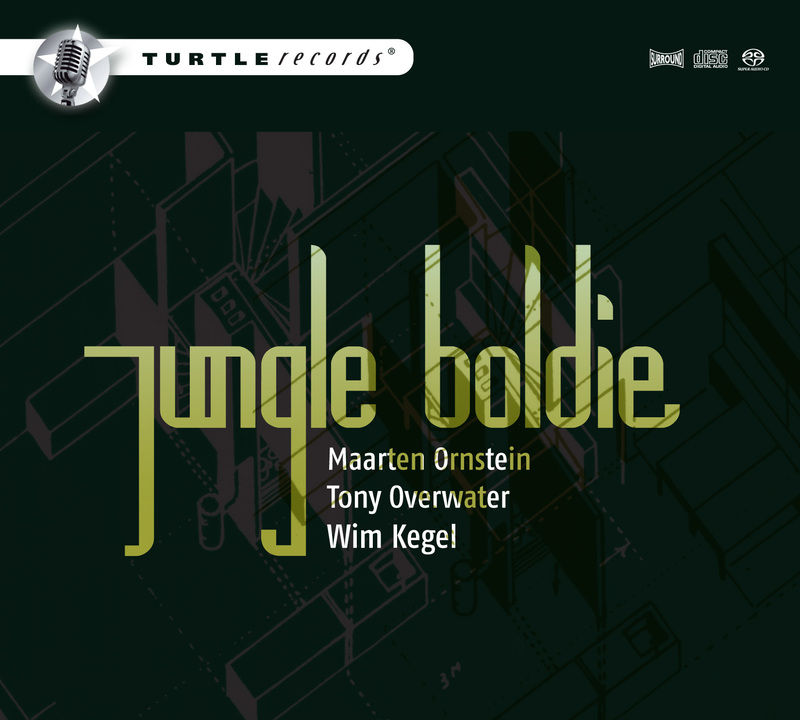 Jungle Boldie started out as the Maarten Ornstein Trio and was founded in 1989, in 2000 the renamed themselves the Tony Overwater Trio and created an international stir when they relased their first album OP - a tribute to bassist Oscar Pettiford. The album featured flugelhorn player Ack van Rooyen and cellist Ernst Reyseger and won the 2001 Edison Award for Best Dutch Recording (Dutch Grammy). Their second project proved to be just as successful. In 2005 the trio joined forced with the highly acclaimed Dutch classical reed quintet Calefax to play two suites by Duke Ellington: the famous Far East Suite and the lesser-known River Suite. The project was remarkable not only because of the crossover between classical and jazz and the choice of repertoire, but also for the fine arrangements made for this particular line up which, unusually, does not feature piano. The album Ellington Suites and the presentation concerts received massive media coverage.